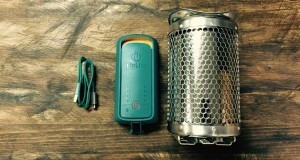 Summary : The solo stove pot 900 is an ultra-light 9 oz stove that burns clean and hot. 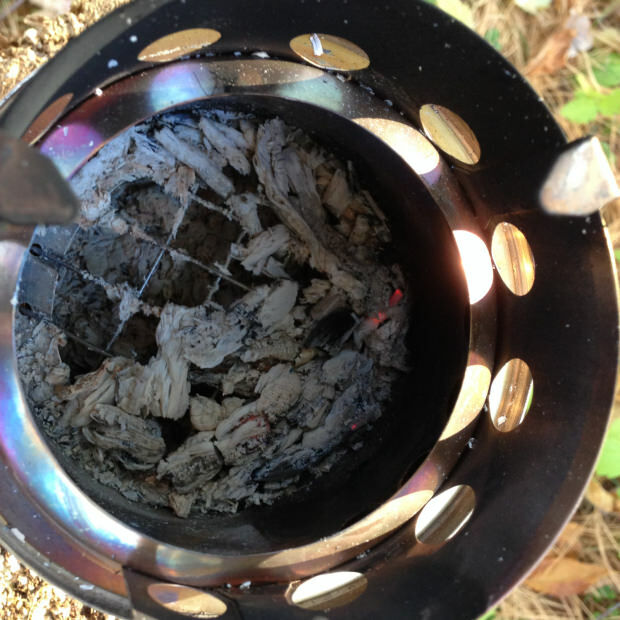 I had a chance to get out and give the Solo Stove Lite a whirl last weekend. There are quite a few stoves on the markets on that are lightweight and burn wood. Let’s talk about the things that make this one unique. Appearance: The stove is made from 304 stainless steel, and is uniform in color. Functionality: When the stove is packed it’s only 3.8″ tall. 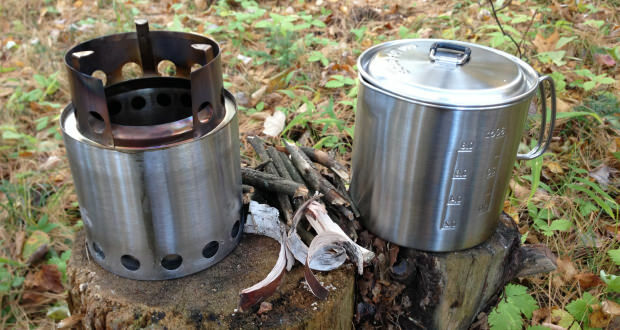 With the cooking ring it’s 5.7″ tall, so it’s a relatively compact stove. The efficiency of the stove was particularly impressive. With a very small amount of twigs you can get a little fire tornado going that will boil water in no time. This is because air enters the fire chamber both at the bottom of the pot, and then again at the top, to provide a very hot, clean burn – right down to pure ash. There wasn’t a single thing left. It was also cool to the touch within another 5-10 minutes, which was great. By the time you’re done eating it will be ready to throw back in your pack. Ease of Use: The stove works great. 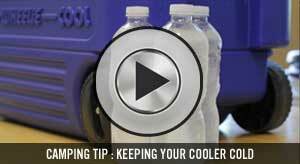 The only thing you need to get used to is when to toss little twigs in, and how big they should be. You pretty much have that mastered after one use though. Durability: The stove is well made and the stainless steel should last for many years. 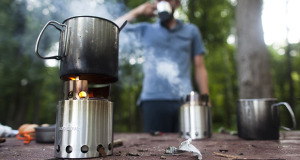 Weight: The solo stove pot 900 only weighs 9 ounces. 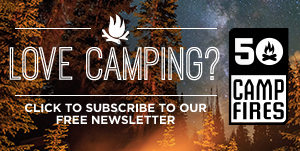 No problem tossing it in your pack. 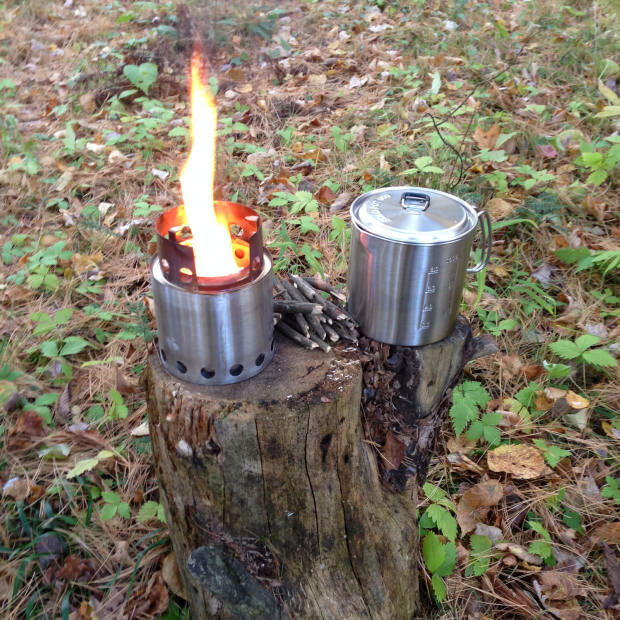 Value: At the time of this post, both the solo stove and pot could be had for $105. 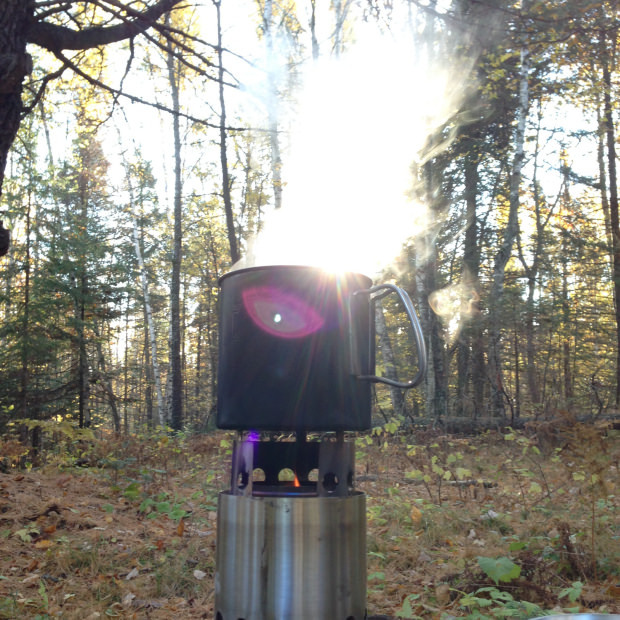 If you look at other wood burning backpacking stoves you discover that there aren’t too many of them on the market in relation to propane stoves. What you tend to find are simple stands that support a pot so you can build a fire underneath. These have their place, for certain, but they don’t create an efficient, focused flame the way the solo stove does. The way it feeds oxygen to the fire is truly unique. We find it to be a good value.